If you have ever tried to encourage your child to exercise, you know how hard it can be. Technology doesn’t always help the frustrated parent, with smartphones, video games, and the television giving your child the excuse to stay indoors rather than playing outside. It’s no good telling your children to spend more time exercising while you put your feet up with a cream cake in one hand and the tv remote in the other. You need to lead by example, whether that’s taking part in keep fit activities yourself, or sharing the experience with your children. Children love it when you play games and share activities with them, so get involved while they are young, and before those difficult teenage years when they might not want to spend as much time with you. Not every child is in to sport, so don’t insist on them joining a local football team or entering into sports programmes. Your children already take part in sport at school, and for many, this can be a stressful experience with a constant risk of failure and shame in front of their peers. Don’t add to their misery by making them train harder. Instead, make exercise a fun activity by spending time in play activities. There are many games you can play, giving you exercise too while creating wonderful bonding moments as a family. Tag, capture the flag, playing catch, and throwing a frisbee around are some of the fun activities you can take part in. Also, there is no harm in playing sports with your children, whatever their experience at school. Playing football or tennis with your child will improve their skills, but don’t insist on being too competitive if they don’t enjoy that side of the game. Playing sport for fun rather than it being something serious, is an excellent way to encourage children to take part. Playing video games doesn’t have to be an unhealthy obsession, so consider buying your child a Nintendo Wii, or Xbox console with a Kinect compatibility. With motion sensor technology, these systems encourage your children to stay fit through a range of sport, dance, and mini-games, using their bodies to play as well as the game controller. Be imaginative in your exercise ideas. For example, your child may hate the idea of going for a walk, but turn it into a treasure or scavenger hunt for a more enjoyable experience. Going to the local playground should offer an opportunity for exercise without your child realising it. 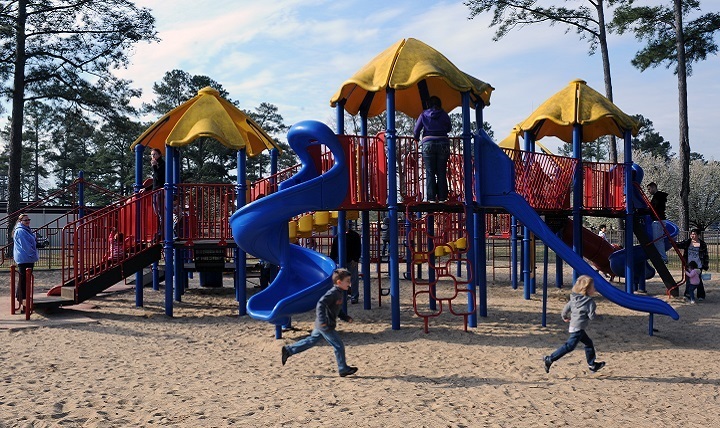 Swinging on monkey bars and clambering up climbing frames will give them an upper body workout, while the walk to and from the play area will improve lower muscle strength. Set up playdates for your children. Having others to play with is a great opportunity for you to relax a little, while your children have fun with others. 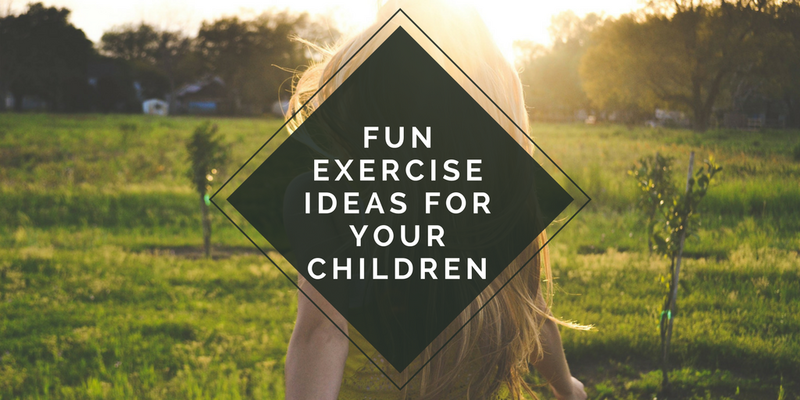 Alternatively, load them all up in the car and take them to a play area or local swimming pool, giving them the opportunity to burn off energy together. bicycle insurance when taking the bikes away from home, to cover loss from sticky-fingered passers-by or damages. When going for a bike ride or walk, your baby will be strapped to you, but there are ways to give them exercise. The local swimming pool is a great place for your child, introducing them to water, while they wear armbands. They won’t move very far, but at least they will get a little exercise time in the water. From an early age, set your child a good example, and exercise with them. From a gentle stroll in the garden to a ‘mummy and me’ dance or yoga class, there are workouts you can do together. Again, play is always important, so when your child is able to walk, play simple games in and out of the house to improve their motor skills, and get them moving. COLLABORATIVE POST. YOU CAN READ MY DISCLOSURE POLICY TO FIND OUT MORE.